Fuqua’s curriculum covers all the bases when it comes to business. You’ll gain a core foundation in accounting, finance, economics, marketing, strategy, operations, management, and decision science. But you’ll also build professional capabilities, developing the analytical, critical thinking, communication, and leadership skills that will make you stand out in any role. In just 10 months, you’ll be ready to contribute value in whatever aspect of business most interests you. Explore the 15 courses offered through the MMS program. Cover the fundamental ideas and tools of microeconomics through supply and demand analysis, consumer choices and market demand, and production and cost theory. Gain the tools for market structure analysis and apply them to monopoly and oligopoly markets and price discrimination. Develop your ability to read, understand, and interpret corporate financial reports. Become an informed user of financial statement information through learning the basics of bookkeeping, accounting terminology, and fundamental accounting concepts. Explore the fundamental principles of asset valuation, investments, and investment management. In this course, you’ll cover diversification, risk, discounting, arbitrage and hedging, portfolio management, performance evaluation, and the interaction between capital markets and the macro-economy. Learn managers’ internal use of accounting information to plan, control, and evaluate operations and personnel of the firm. You’ll learn the design of cost management systems and their use in decision making and management control systems. Examine important issues in corporate finance from the perspective of managers. You’ll use the concepts of net present value, uncertainty, and strategic concerns to analyze how investment and financing decisions interact to affect the value of the firm. Building on your prior coursework in financial accounting, strategy, managerial accounting, investments, and corporate finance, you’ll focus on the financial analysis of a firm and its shares. Gain an introduction to the analytical basis of decision making by building a foundation in probability theory, statistical inference, and regression analysis. First you’ll develop an understanding of probability and random variables, and then you’ll learn to use sample data and associations among variables for prediction and problem solving. Develop your ability to make good decisions when responding to challenges and complex situations. You’ll use spreadsheet models in Microsoft Excel to explore, evaluate, and improve alternative scenarios in a systematic fashion. Whether you’re conveying the results of a project or leading an organization, communication is key. Here you’ll concentrate on presenting information clearly, strategically, and persuasively in a professional business setting. You’ll gain exposure to successful skills - oral, written, and presentation – in a broad array of media, including how to communicate effectively through spreadsheets and other analytical modeling tools. And because effective professional conduct is a core requirement in managing your career, you’ll focus on developing and executing an effective job search strategy. Building on concepts from Business Communication I, you’ll concentrate on building capabilities needed for success in a team-based work environment. This course focuses on developing your skills in presenting, structuring persuasive speeches, team dynamics, and interpersonal communication. Learn how to create business value by applying the principles, processes, and tools to analyze markets. You’ll design optimal marketing programs through “the 3C's”—company, customers, and competition—and “the 4 P's”—pricing, promotion, place, and product. Gather, analyze, and interpret data about markets and customers. Learn to define decision problems and determine what information is needed as you examine how to acquire trustworthy, high-quality data and analyze data relevant to classic marketing decisions. Identify business opportunities in dynamic competitive environments. You’ll analyze competition in this era of globalization and changing boundaries, and you’ll assess strategy under increasing uncertainty, gaining vital strategic analysis concepts, models, and tools. Learn to be an effective leader and manager, whatever your level in an organization. Examine practices that make teams more efficient and adaptable by harnessing diversity to enhance innovation. Learn to lead others as you study the theory and practice of negotiation. Learn the basic facts and principles of supply chain processes and activities. You’ll gain an understanding of the cycle from the extraction of raw materials, through transportation and processing, to the delivery of finished products to the customer. Your courses will include a mix of lecture, case studies, exercises, strategic games, corporate visits, and guest speakers. Professors use actual business problems to help you consider solutions, and you’ll also learn from real-world projects—like creating a marketing plan to launch a new Burt’s Bees toothpaste. Because so much of your learning happens through debate and analysis, you’re expected to be an active participant in class discussion. This approach challenges you to think practically, critically, and creatively, preparing you to tackle business problems from multiple perspectives. Fuqua is serious about ethical leadership, and we create a climate of integrity. 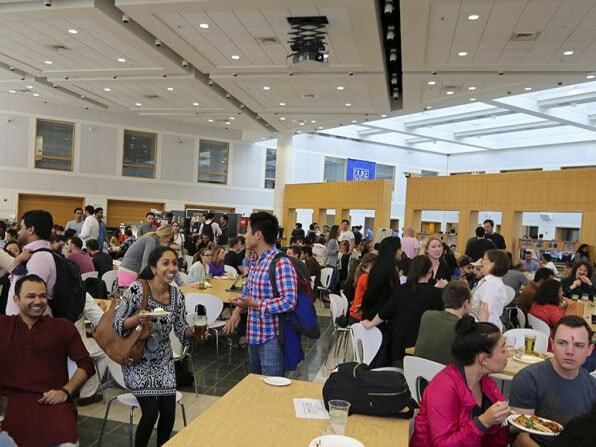 All members of our community are governed by Fuqua's Honor Code. By electing to join our community, in turn, you will be expected to abide by our standards of honesty and integrity. 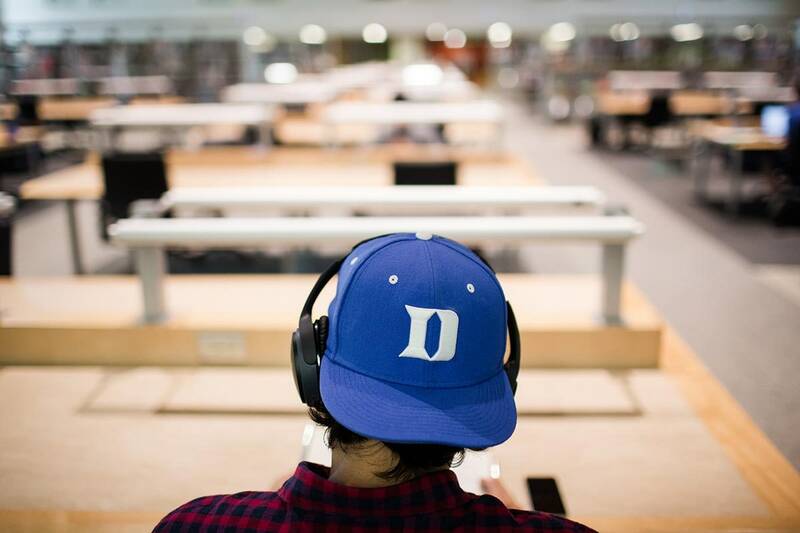 From Fuqua Fridays to Duke athletic events, a student shares the quintessential experiences of being in the program.